A gorgeous necklace from Sweet Pea! How about a bit of poetry for you? Also by the acclaimed Central Iowa mama herself–Katherine! Join BWI of CI for our fun giveaways!!! According to the Merriam Webster dictionary the word “Reflection” is a noun and means: “an image that is seen in a mirror or on a shiny surface.” But seasoned babywearers know that “Reflection” is a Natibaby exclusive wrap. 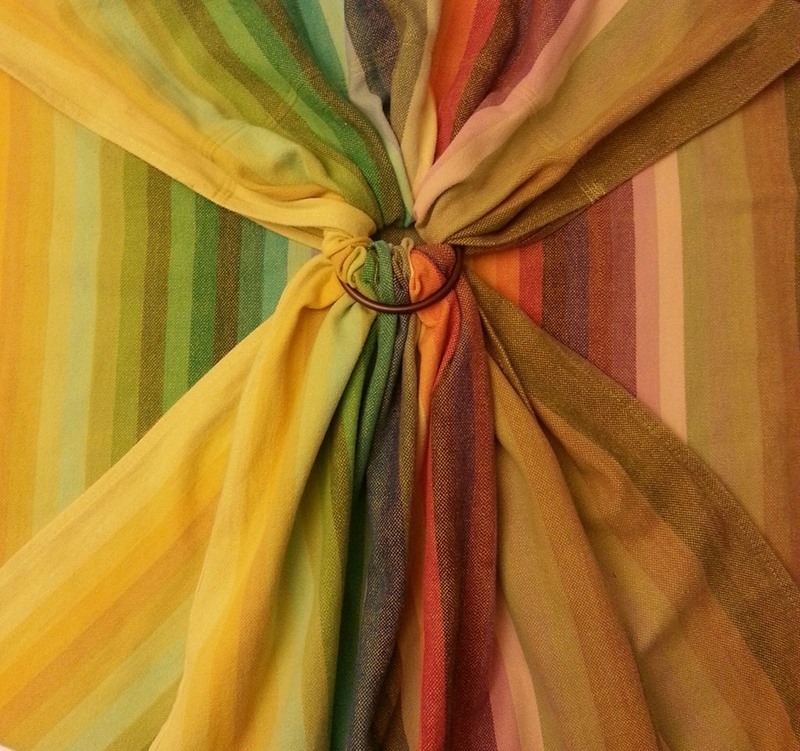 It’s 70% cotton, 30% linen, and 100% gorgeous. 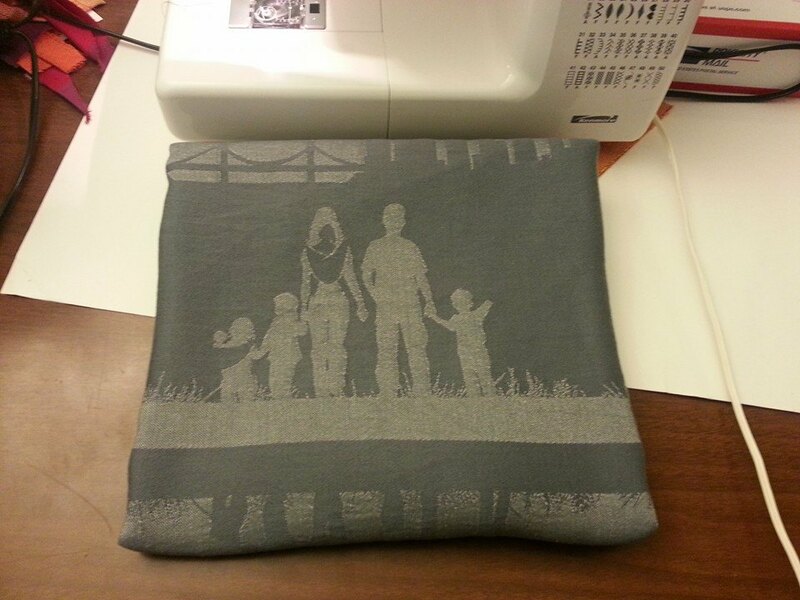 The grey and white wrap has the image of a family of six. The mirror image of the family is portrayed in the corresponding color. 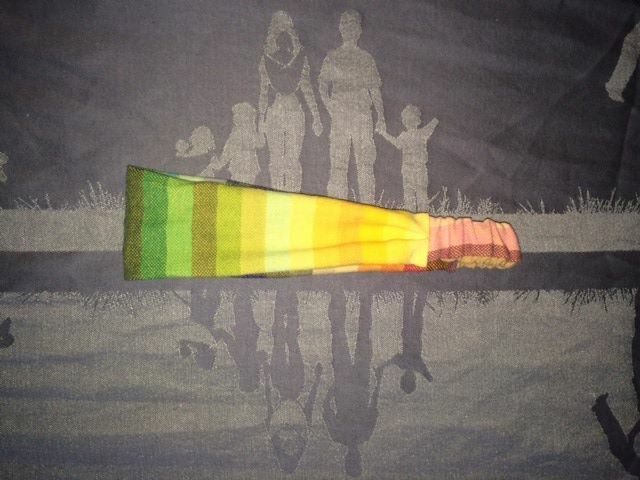 But to one Central Iowa Babywearer–this wrap means more–so much more. This is Amanda’s story. No, I take that back. This story belongs to Babywearing International of Central Iowa. Amanda and her family were just the vessel for this story to be born. This is our story of love, compassion, and community. Amanda is a caring mother of three rambunctious boys and one sweet baby girl. Her and her husband strive to raise their four children with compassion and understanding of other people. Shortly after Amanda and her husband, Tony, were married they vowed to never turn down a request for a donation. This is something they have instilled in their children–who routinely pray for and donate to others. Pregnant with their 4th child. But things were difficult for the family. Their third child, Tate, has experienced chronic pain and frequent hospitalizations in his short 3 years old life. Doctors were perplexed by Tate’s condition. His symptoms so mysterious and finding some relief he was prescribed a regiment of different medications from the time he was 15 months old. Amanda reports that Tate cried out in pain 22 hours of the day for the first 18 months of his life. 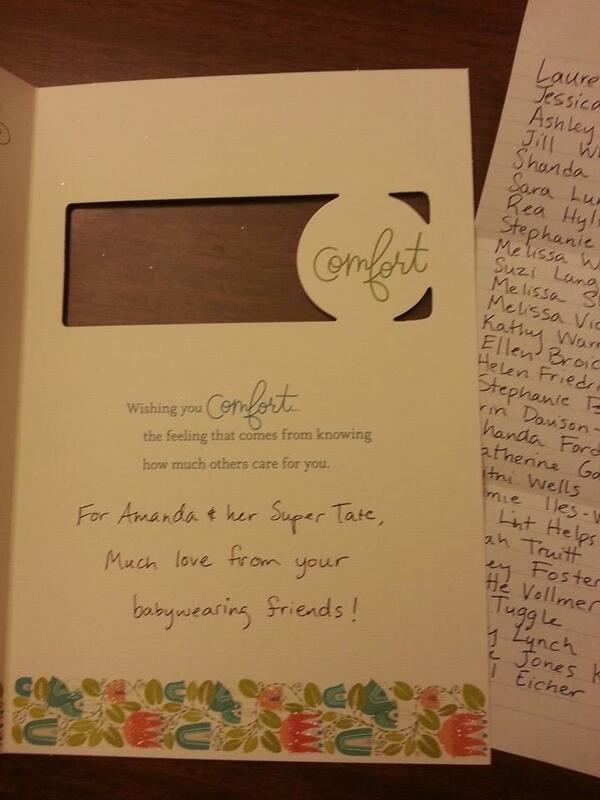 Amanda was told that Tate had colic and was constipated. The only thing that provided him comfort was a Baby Nest Carrier. 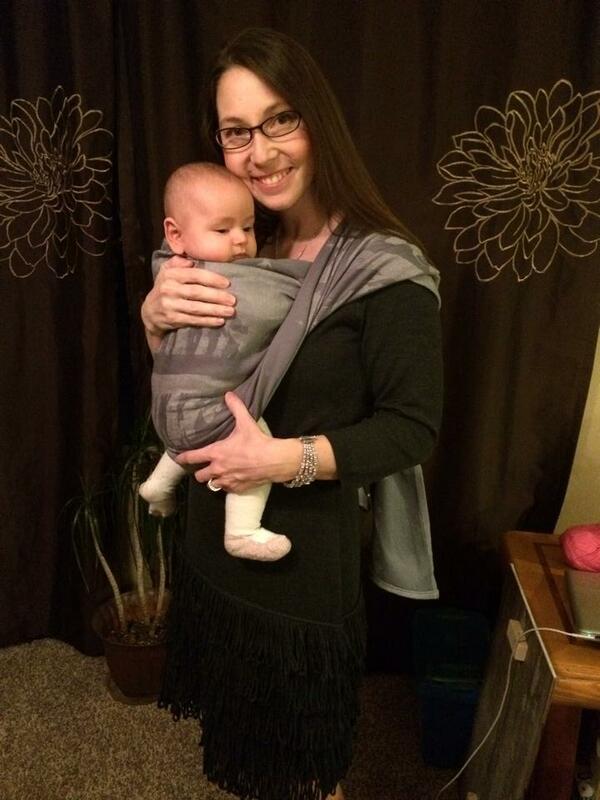 The sage green wrap was a lifesaver for Amanda, Tate, and the two older children who Amanda schools at home. Although being worn didn’t take Tate’s pain away–it did provide him security and closeness to Amanda that he needed to help him endure the pain. Tate eventually outgrew the beloved Baby Nest Carrier and Amanda passed it along to a friend to use for her new baby–a decision Amanda later regretted. Tate’s pain ebbed and flowed but was increasingly worse in the summer of 2013–when Amanda was pregnant with their fourth child. Tate was hospitalized every month that summer. Tate’s diligent doctors at Blank Children’s Hospital were then able to identify the culprit of his pain. Tate suffers from chronic pancreatitis. Genetic testing ruled he has a genetic condition called homozygous SPINK1 mutation–which makes him more likely to continue to get pancreatitis. This is unheard of in child. Admitted and Discharged June 2013. Amanda spoke to another Central Iowa Babywearer who has a child with medical needs about the frustration of the hospital stays and how to create normalcy and safety for Tate in the hospital. The other mother suggested wearing Tate in a woven wrap and whenever he was in the wrap the doctors and nurses could not touch him. Therefore the wrap = safety. Amanda toyed with this idea, but she knew that she had to create a safe place for Tate. So her wrap obsession was born. Amanda would drape the wrap around Tate as he slept in the hospital bed and allowed him to use it as a blanket. They would make forts with it. But most importantly Amanda would wrap Tate up and carry him out of the hospital in his wraps upon their discharge. This became their tradition. Summer passed and Tate seemed to be on the up and up. His pain was under control and he had been doing well. Amanda gave birth to a beautiful baby girl in October 2013. Jovie came with her own set of challenges–as do all babies–specifically premature babies. The family quickly transitioned from a family of 5 to a family of 6. Jovie’s big brothers were smitten with her. Tate is often overheard singing Jovie songs from “Power Rangers” or reading her stories. 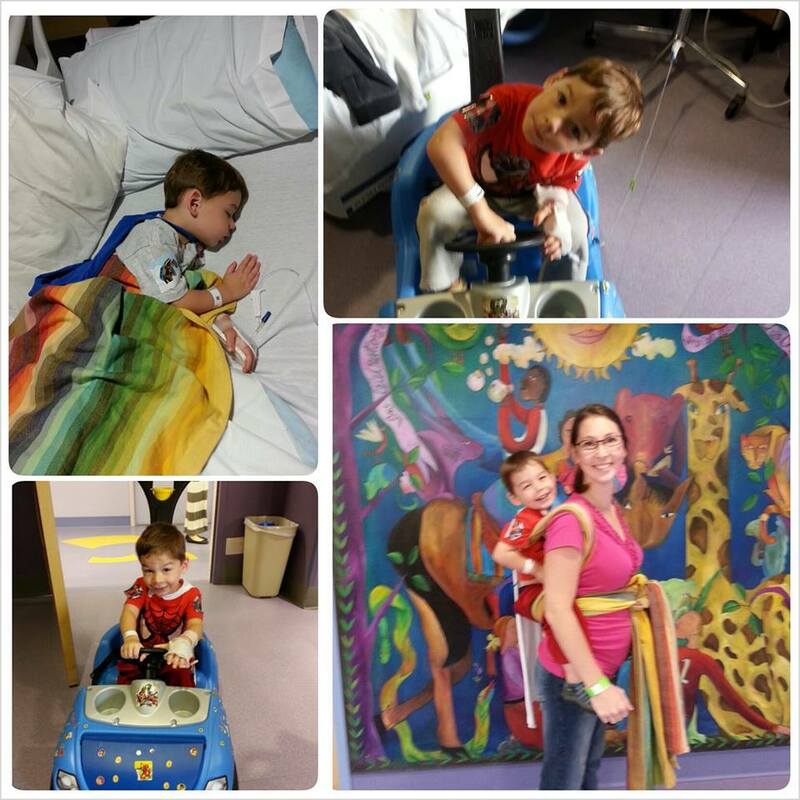 In December 2013 Tate was hospitalized yet another time. 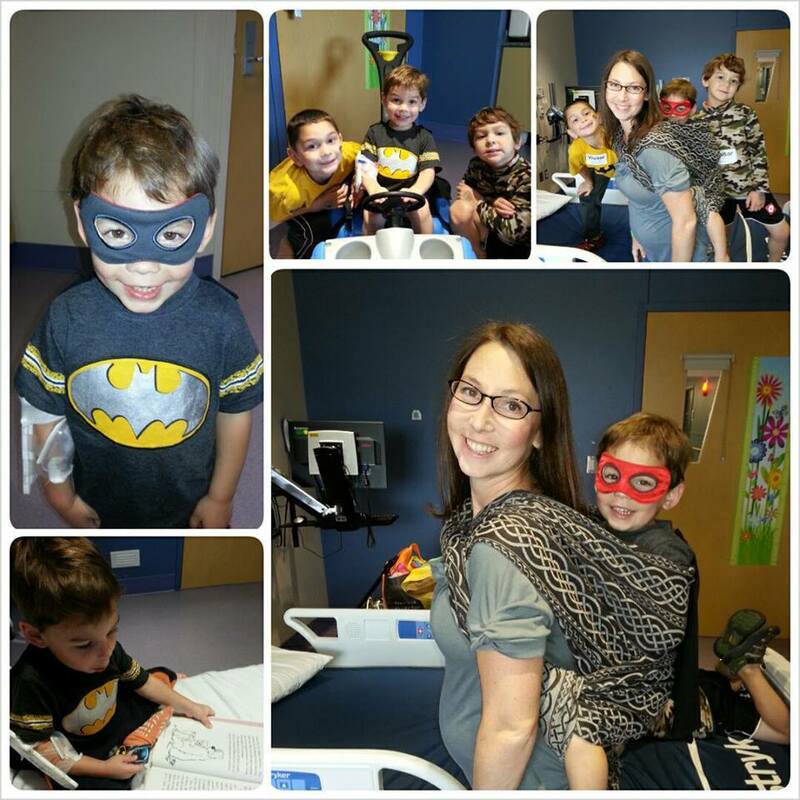 Amanda shared that Tate’s doctors and the staff at Blank Children’s Hospital were wonderful though. 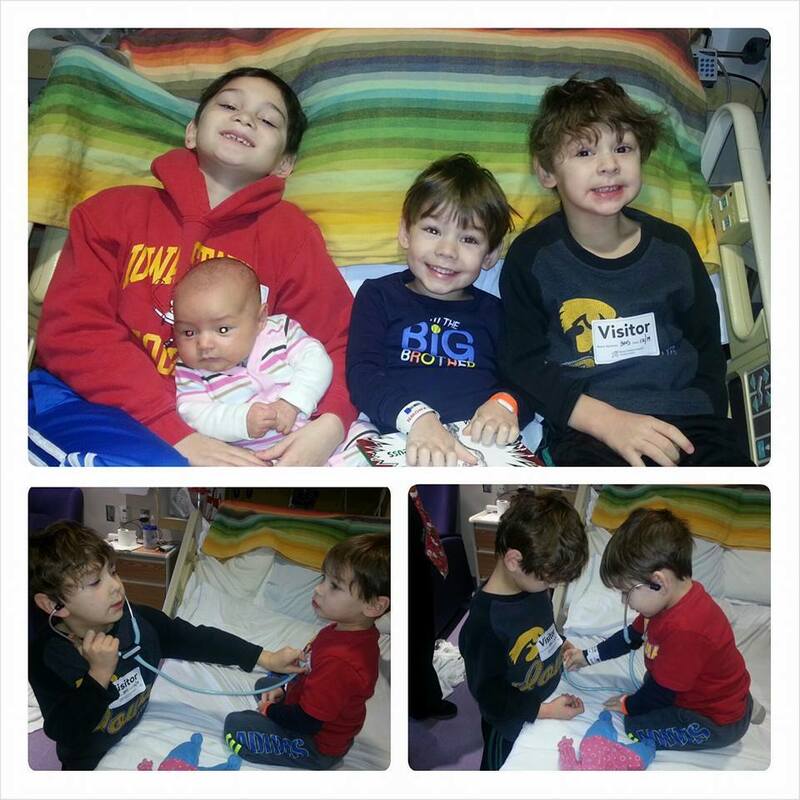 Because Amanda was nursing Jovie, Jovie was also allowed to stay in Tate’s room during his inpatient stay. Amanda could not fathom being separated from either child at this point in time; Tate–a boy in so much pain and Jovie a completely dependent newborn. It was around this time that Amanda had first seen the Reflection wrap. 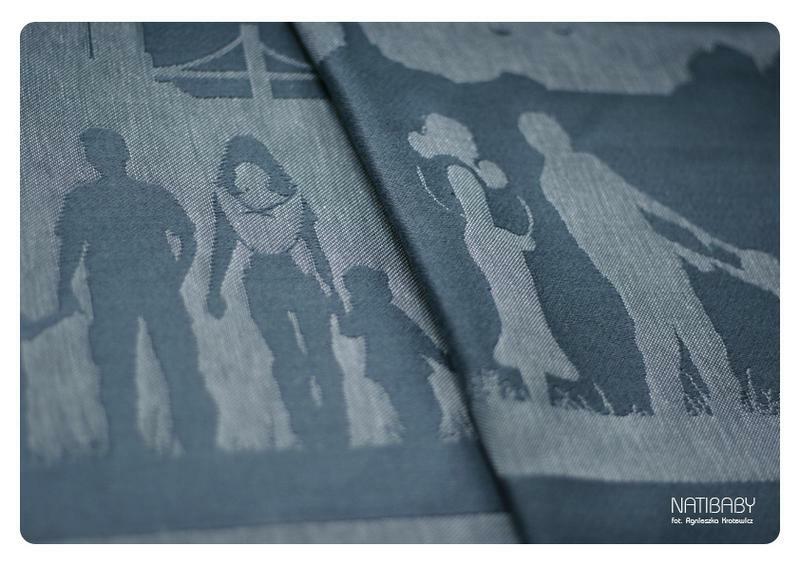 Amanda was immediately smitten by the simplicity, love, and strong family that the wrap portrays. She pined for this wrap. She later admitted she actually saved the stock photo to her desktop and looked at it frequently. 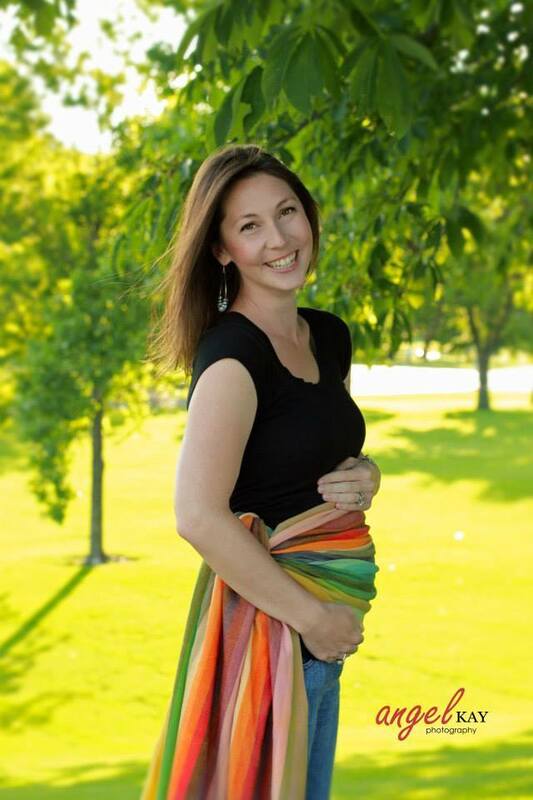 Amanda was on a mission to obtain this wrap and she had 500 other Central Iowa Babywearers rooting for her and tagging her on posts on The Babywearing Swap on Facebook. Amanda had made contact with a woman about obtaining the wrap, but unfortunately Amanda did not have a suitable trade. 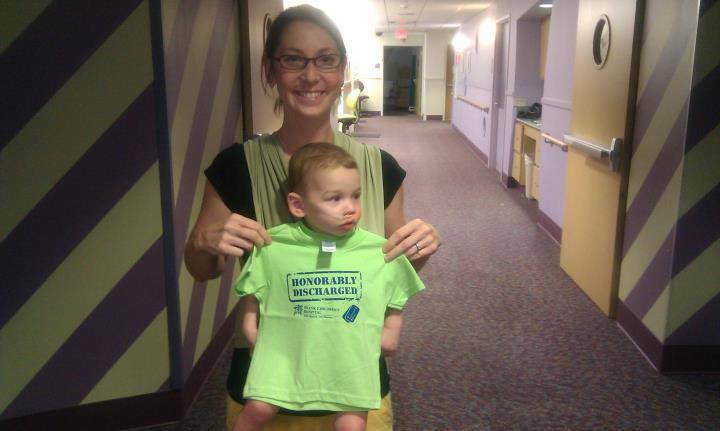 Other Central Iowa Babywearers offered up their stashes for Amanda, but Amanda chose to pass. It was also around this time that Amanda and Tony learned that their insurance will not be covering any of Tate’s medical expenses when he is in Minnesota. The family would be paying out of pocket for all expenses during this time. Every band aid, piece of gauze, and syringe. Everything. But the family knew that Tate needed this and they had to make it happen. Friends and family members stepped up to help organize an online auction on Tate’s behalf. Friends were donating handmade items, gift baskets, services, etc. This provided the family with relief. Tate will go to Minnesota to be seen and they will finally have the answers they need. Amanda continued to think about the Reflection wrap though. She didn’t talk about it as much, but Amanda, who has the memory of an elephant didn’t forget about it. An idea was born and flourished. Another local babywearing mama made the decision that she was going to put that wrap into Amanda’s hands. A secret Facebook community was born for the sole purpose to help locate and fund the Reflection wrap for Amanda. Lauren, the mastermind behind the plan orchestrated everything. She invited people to the group, made connections with people all over the world, offered paypal and trades. Lauren’s perserverance paid off though. She successfully secured the wrap for Amanda. The woman who sold the wrap to Lauren had learned of the family’s struggle and sold the wrap at an unbelievable price. People from Central Iowa donated paypal to help cover the cost of the wrap. Lauren was astonished when the wrap was quickly paid for–but donations continued to pour in. 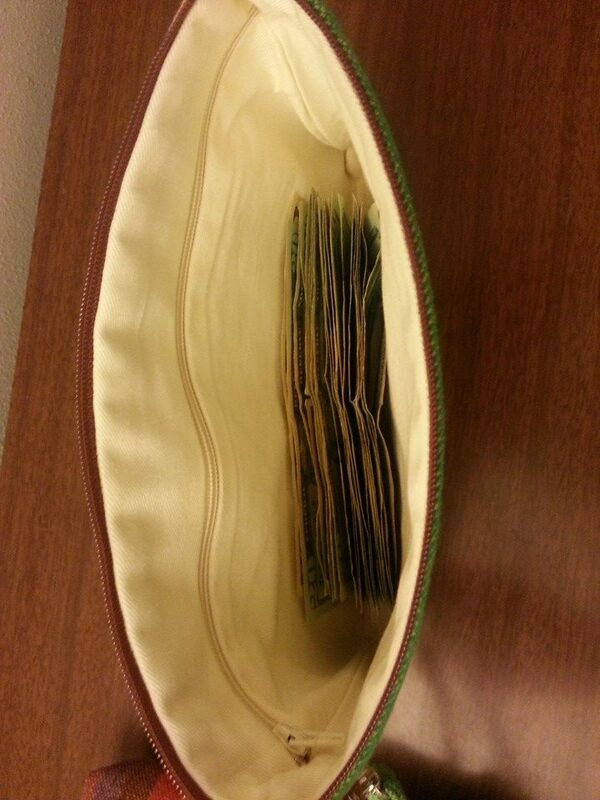 Over $400 of donations were made based on Lauren’s efforts. Now Lauren and the Reflections Group had to make a decision on how to get the wrap and monetary donation into Amanda’s hands. Lauren schemed again and concluded she would offer an item for donation for Tate’s auction and provide the wrap to Amanda in a separate present. 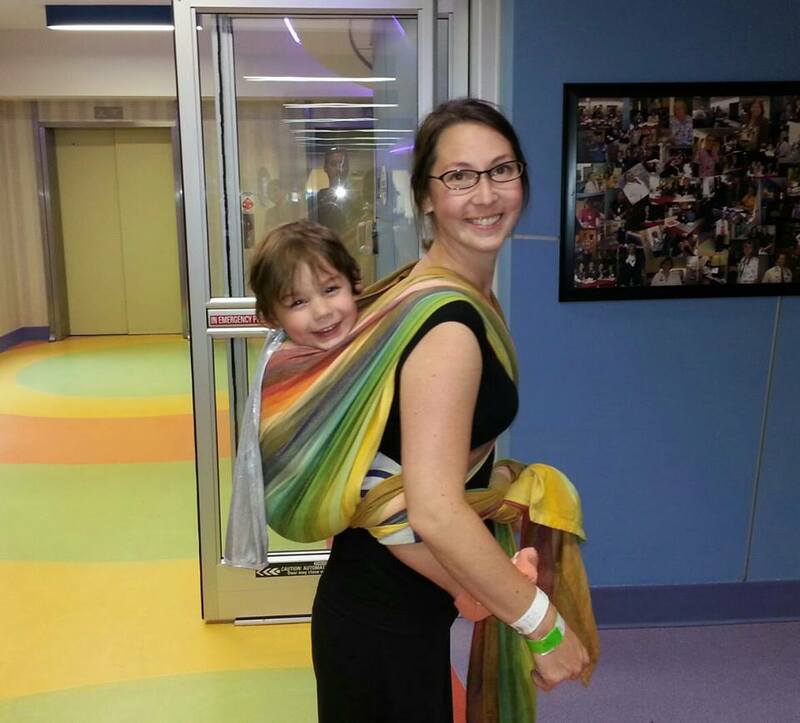 Lauren, a skilled seamstress and avid babywearer herself was able to construct a beautiful ring sling and matching head band from fabric made from Tate’s ‘rainbow blanket,’ The beautiful Girasol Azafran yellow weft that Amanda carried Tate in. Lauren provided Amanda with two packages. One labeled ‘Tate’s Auction’ and the other labeled ‘For Amanda’ and instructed her to open them when she had a moment by herself. Amanda opened the gift for Tate’s auction first and immediately began to cry. 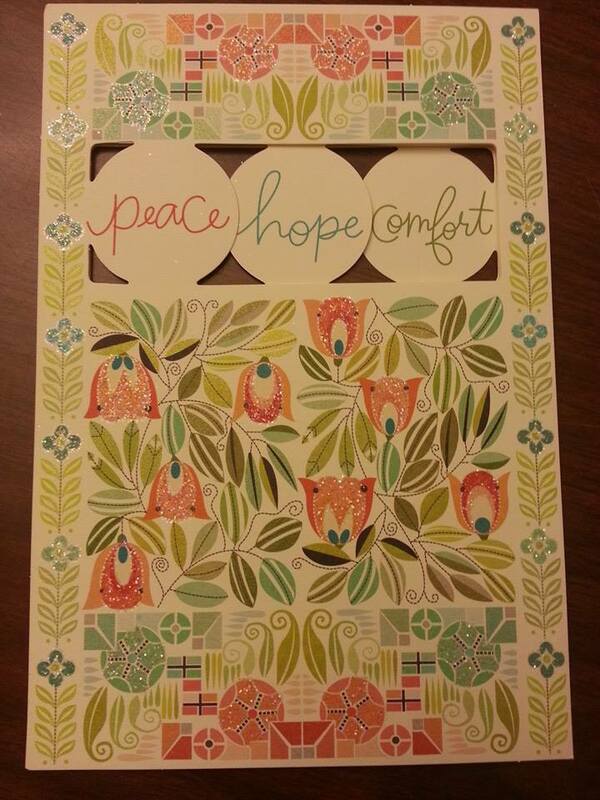 The gratitude that she felt was and the love that poured out of the gift was immediate. Next Amanda opened the gift labeled for her. Twenty-nine signatures are on the card. Twenty-nine individuals–some of which have never met Amanda donated paypal for her and for Tate. Amanda had no words. She was immediately flooded with emotions. 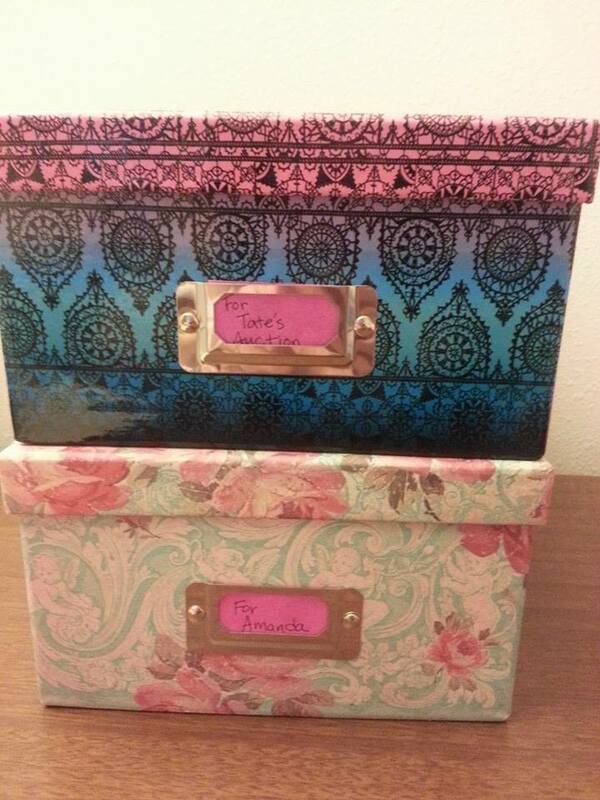 She was overwhelmed by the love that she felt when she opened this gift. Not only was the gift appreciated, but also the thought and commitment that went into obtaining the wrap and donations. Amanda communicated to Tony and both began crying for the duration of the evening. This is Babywearing International of Cental Iowa’s story about how we banned together to help one family in a time of need. This is our story of love, compassion, and community. This is what Iowa is known for. And we babywear to keep our children safe and protect them.